Gaming is one of the most highly regulated areas of business. 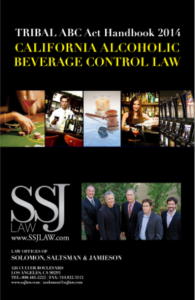 SSJ is on the cutting edge of all current gaming laws and procedures, and can assist you with any gaming matter. Internet Gaming: SSJ understands the difficulties of our fast paced ever-changing world of technology. 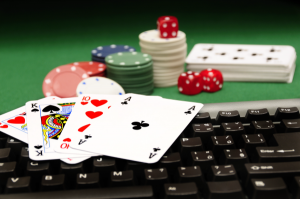 In order to engage in internet and/or intrastate gaming, it is vital that your business comply with federal and state laws. SSJ can navigate you through the complexities of the laws and guide you through the process from beginning to completion. Fantasy sports are games in which the participants build their own fantasy teams that compete against other fantasy owners’ teams based on the statistical performance of real life professional athletes. Click here to see more articles by or about Solomon, Saltsman & Jamieson regarding this practice area. ● Supreme Court VICTORY: resulting in approx. 125 ABC cases Dismissed! ● Judgment by Federal Court for 42,700 slot machines that were wrongfully withheld by the State of California. 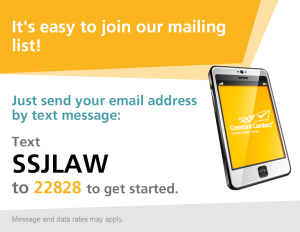 I would like to receive emails from SSJ Law. Solomon, Saltsman & Jamieson Celebrate a Year Well Done! Articles posted on our website, were to the best of our knowledge correct at the time they were written, but laws change continuously so no one should rely on what is written in any article as the current state of the law. The reader should always consult a practicing lawyer for an evaluation of how the current law affects any particular factual situation at the time when it occurs. The badges for AVVO®, Million Dollars Advocates Forum®, Martindale Hubbel AV Preeminent®, SuperLawyers®, and BestLawyers®” have been awarded to various specific attorneys at Solomon Saltsman and Jamieson. See each attorney’s profile for which badges are specifically assigned to him or her. Copyright © 2018 Solomon Saltsman & Jamieson.